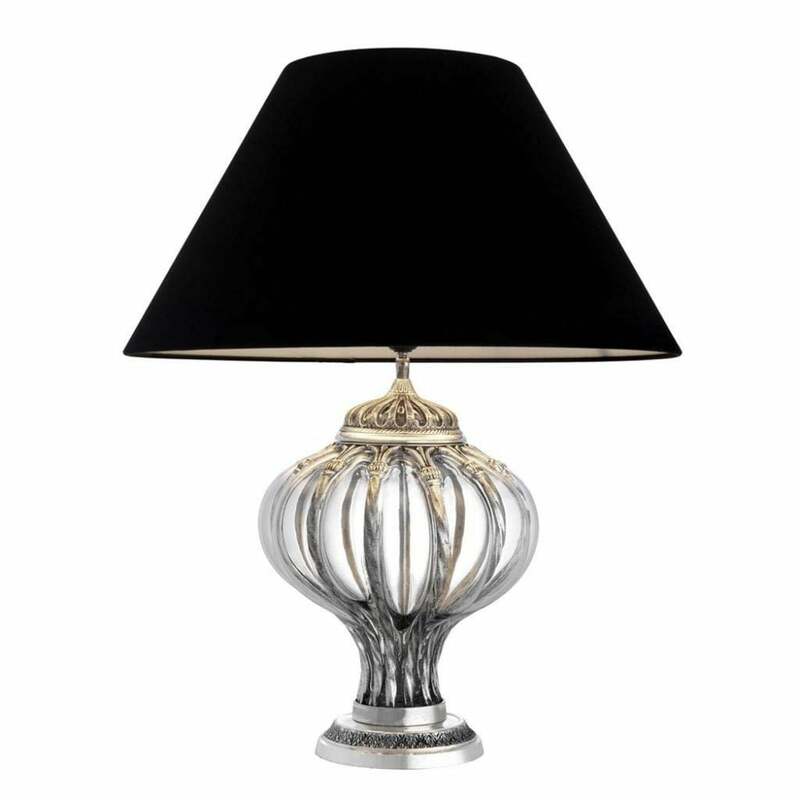 Channel elegance into your interior with the Balloon table lamp from Eichholtz. The curved silhouette of the nickel base extends upwards to a plush black velvet shade. The striking base is formed of a rounded base plate with hollow structure incorporating a slat design and nickel centrepiece. The stylish lamp is the perfect addition to brighten up a narrow hallway or corner. Place in the centre of a console table for an ultra-luxurious feature. Alternatively, style either side of the bed for a chic and glamorous look.